The title makes this dish sound sweet, but the other ingredients in the marinade pair well with the maple syrup and make it simply perfect! 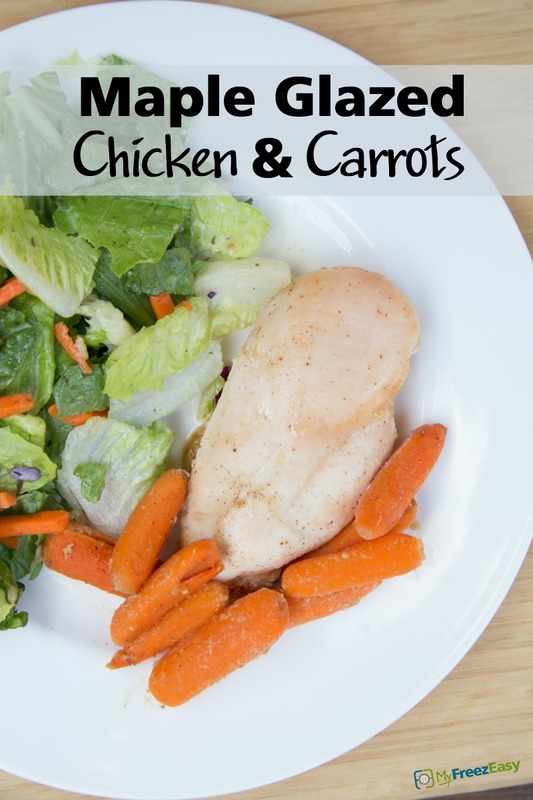 Place the chicken breasts and baby carrots into 9x13-inch baking dish and season with salt and pepper. In a small mixing bowl, whisk together the maple syrup, orange juice, Dijon mustard and olive oil. Pour over the chicken breasts and carrots. Bake in the preheated oven for 40 minutes, then baste the chicken with the juices in the baking dish. Return to the oven and bake another 15 minutes, or until chicken is cooked through. Add cracked pepper as simple garnish. 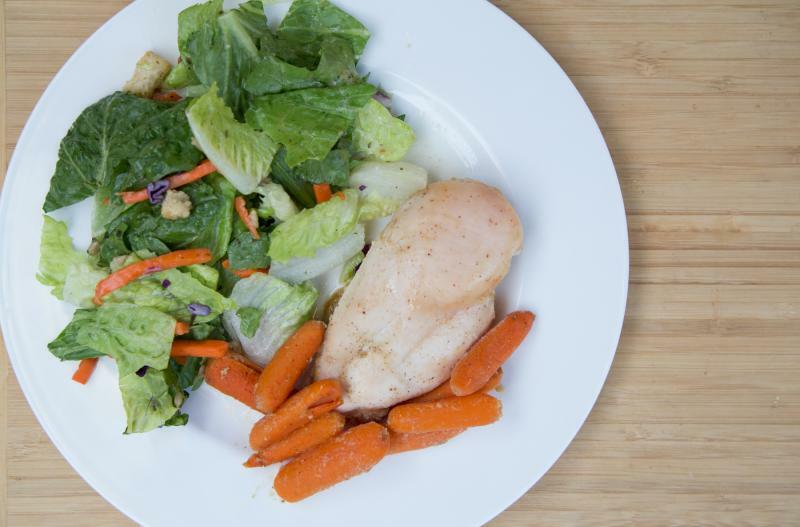 Serve Maple Glazed Chicken & Carrots with mashed potatoes. In a small mixing bowl, whisk together 1/2 cup maple syrup, 4 Tbsp orange juice, 4 Tbsp Dijon mustard, and 4 Tbsp olive oil. Put baggie in the freezer and freeze up to 6 months in fridge freezer or 12 months in a deep freezer. Thaw in the fridge overnight, or a warm bowl of water for about 20 minutes, before transferring to a baking dish and baking as directed. Thaw and bake at 400 F for 40 minutes, then baste with maple sauce and cook another 15 minutes. Garnish with cracked pepper.